Walter Road West is on the border of the Cities of Bayswater and Stirling. Picture: Kristie Lim. 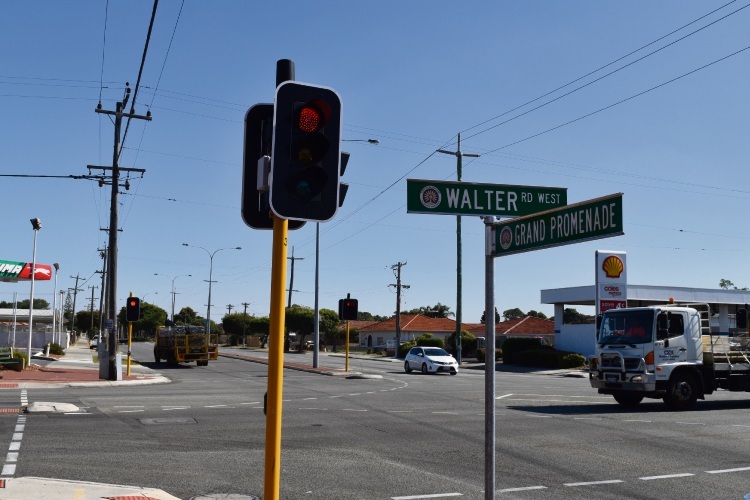 THE Cities of Bayswater and Stirling are will conduct a planning activity for the Walter Road Local Centre in a bid to support businesses in Bedford and Dianella. Walter Road West forms the boundary between the two local governments. Bayswater Council requested chief executive Andrew Brien ask the City of Stirling to engage with Bayswater and business and property owners between Grand Promenade and Salisbury Street, on streetscape landscaping and car parking at last month’s council meeting. This move followed Stirling Council’s February 2018 decision to consider appropriate funding in the 2018-19 budget process to undertake a planning exercise, involving community consultation, to determine the framework for the Dianella Industrial Precinct and Walter Road Local Centre. The decision also requested Stirling officers engage with Bayswater to establish whether Bayswater was interested to participate and include the east of Walter Road within the local centre. Bayswater Mayor Dan Bull said he talked with Stirling Mayor Mark Irwin and Councillor Bianca Sandri who were “enthusiastic” about working together for the exercise. “The feeling that I have is right now, our businesses aren’t interested in a full precinct plan but are interested in the City of Bayswater still engaging with the City of Stirling to look at dealing with streetscape, parking and traffic,” he said. Councillor Stephanie Gray said the opportunity was too good to miss as several businesses along the Bedford strip had left because of parking issues. Stirling planning and development director Ross Povey said Stirling would welcome the opportunity to work with Bayswater. “This would involve working with the City of Bayswater to involve the community in the development of the plan, through design workshops,” he said. According to a Bayswater officer report, detailed planning worth $120,000 for the Walter Road West area was scheduled for 2020-21 in the Long Term Financial Plan.